Here's some late-'80s rock. This was their one album. I found lots of stuff like this in the bargain bins back in the day. It kind of treads the line between AOR and Alt radio and never found a home on either. 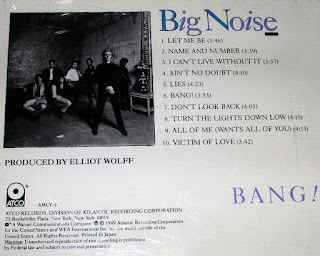 Big Noise - 1989 - Bang!